This is master pastry chef Luigi Biasetto. 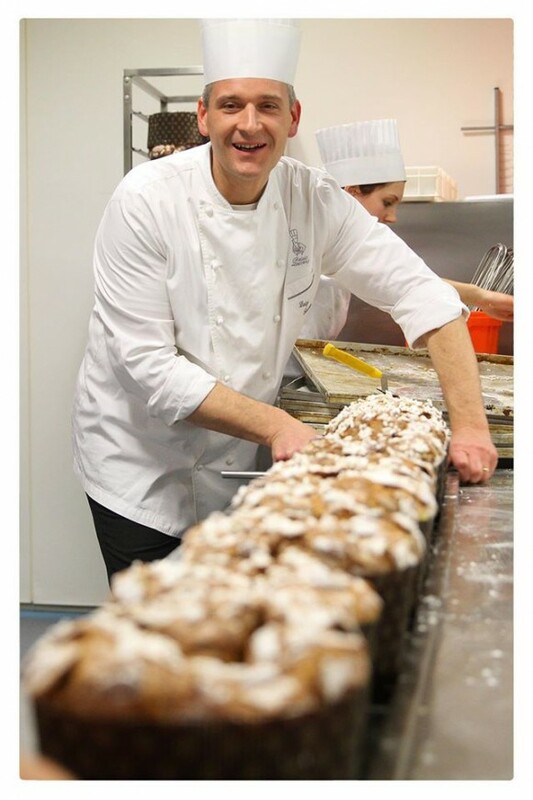 He makes our Colomba, the traditional Italian sweet Easter bread which is shaped like a dove. Luigi changes his recipe every year. He is constantly discovering new and wonderful raw materials! The flour is made with wheat grown in Le Marche and Emilia Romagna. The butter comes from the countryside outside of Padova. The vanilla comes from a small scale, sustainable producer in Madagascar. This Colomba is over 2 LBS! It’s big enough to feed your whole Easter table. Not to mention it makes a killer host/hostess gift. Colomba is a quintessential part of Italian Easter and this is the best one you will find.